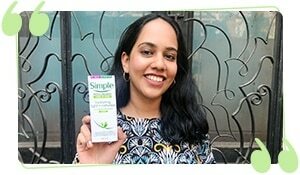 If you are thinking of going bare nails for Holi, let us stop you right there. It is recommended, and by recommended we mean required, that you layer your nails with a nail enamel to protect them from chemical-laden colours. 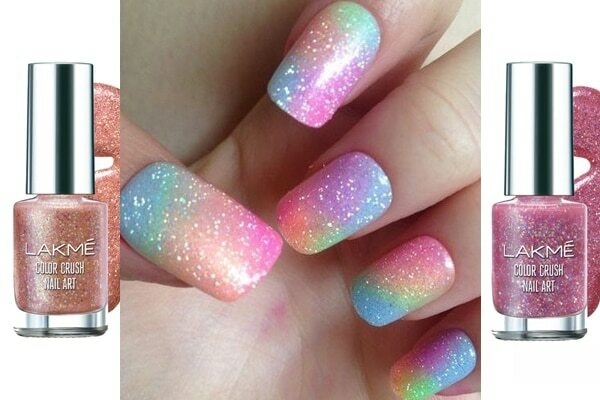 And while you are at it, why not dress your nails in the spirit of Holi? 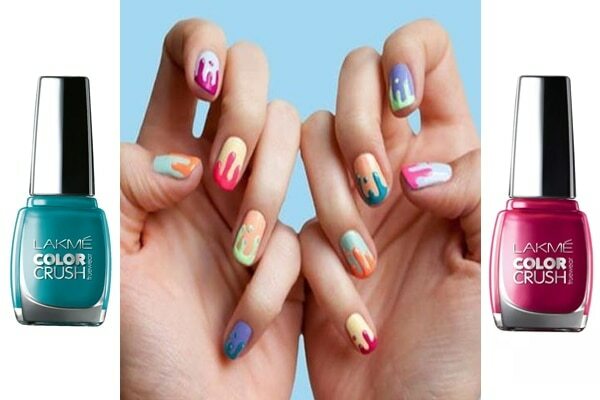 A colourful nail art will add a pop of colour to your white-outfit for the Holi look and make for some cool Insta worthy pictures. 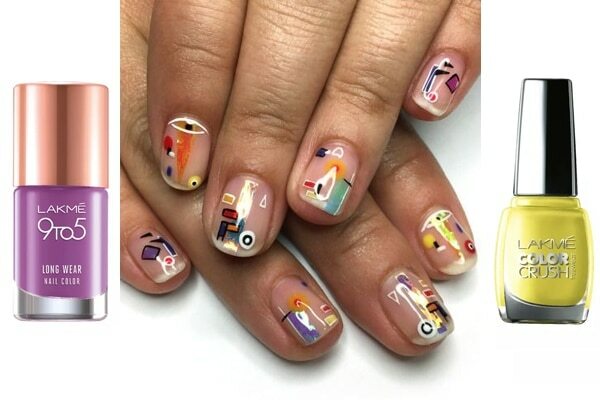 When art meets colours, you get an eccentric nail art with abstract designs and minimal colours. 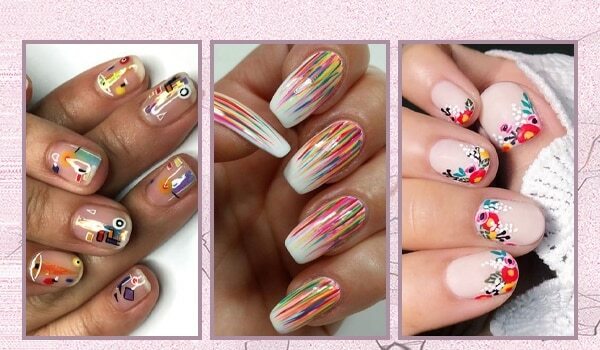 This nail trend will fetch you a bunch of compliments for your beauty choices. 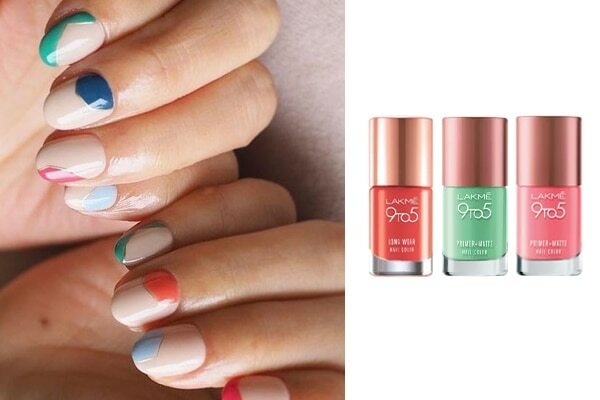 Get it with Lakmé 9 to 5 Long Wear Nail Color - Lilac Link, Lakmé True Wear Color Crush – 54. Bright vibgyor lines painted on a white canvas is sure to catch some eyeballs. 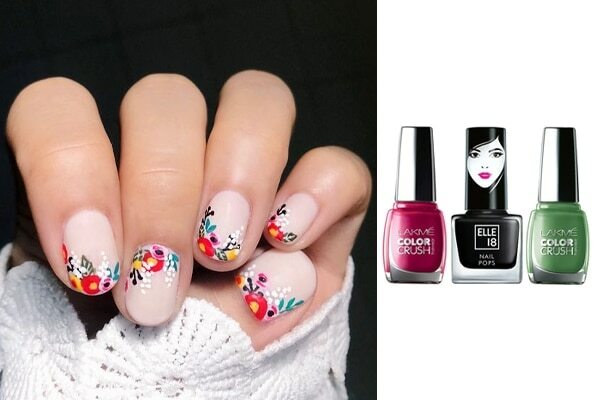 This bold and beautiful nail art is easy to nail too. 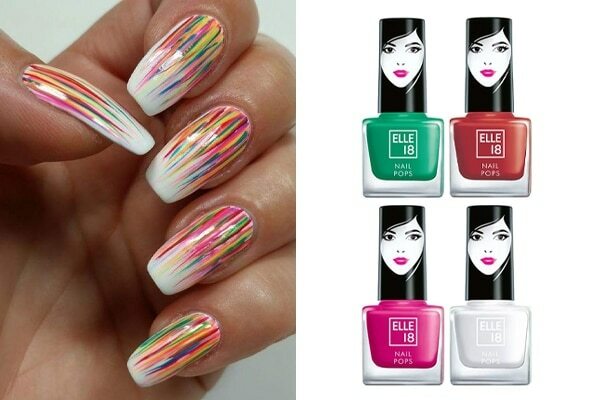 Get it with Elle 18 Nail Pops Nail Polish – 27, Elle 18 Nail Pops Nail Polish – 60, Elle 18 Nail Pops Nail Polish – 61, Elle 18 Nail Pops Nail Polish – 68.